The technique of Abstract Interpretation  has allowed the development of sophisticated program analyses which are provably correct and practical. The semantic approximations produced by such analyses have been traditionally applied to optimization during program compilation. 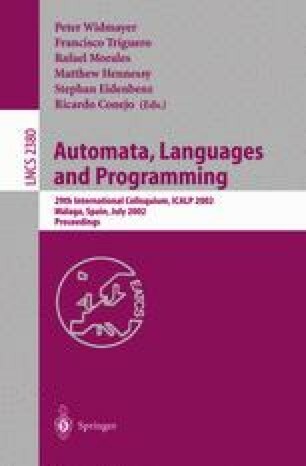 However, recently, novel and promising applications of semantic approximations have been proposed in the more general context of program validation and debugging [3,9,7]. F. Bueno, D. Cabeza, M. Carro, M. Hermenegildo, P. López-García, and G. Puebla. The Ciao Prolog System. Reference Manual. TR CLIP3/97.1, School of Computer Science, Technical University of Madrid (UPM), August 1997. System and on-line version of the manual available at http://clip.dia.fi.upm.es/Software/Ciao/.